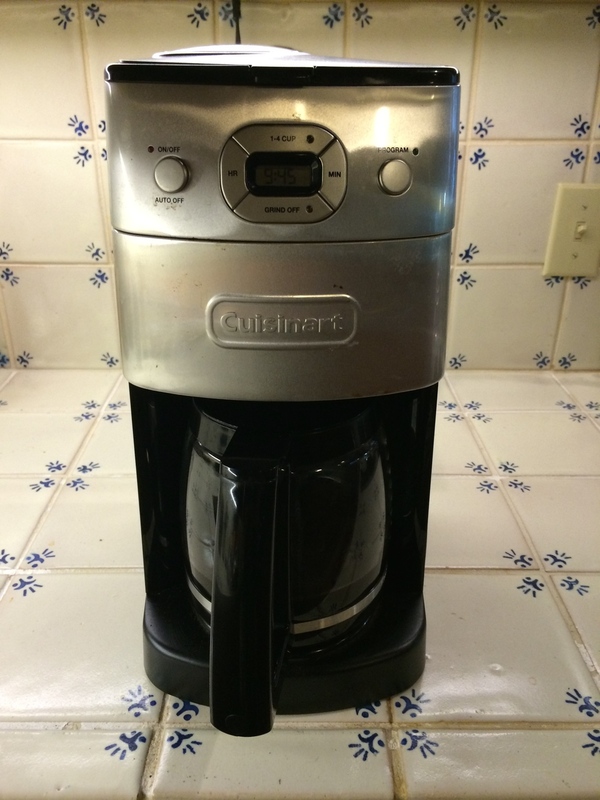 A Cuisinart coffee maker with a built in grinder! Some Folgers Classic Blend coffee! Eight cups of water instead of twelve. Next, fill the grinder with the coffee and "regrind" the grounds. What this nonsensical process does is it opens up the coffee's flavor and makes it taste full-bodied and rich. I have no idea what inspired me to brew coffee this way but I guess sometimes "thinking outside the box" turns out to be a winner. Try my recipe and let me know what you think.